This is a question I received in an email from someone who has been reading my blog posts. I have included the question and my response below. Both have been slightly modified to make it anonymous. I came across your blog describing the RYZE AI System. To give you a little background, I have no prior experience what so ever in any trading capacity. I’ve been wanting to get into trading for a while, but never found the time to actually learn the in’s and out’s of how to go about it due to its sheer complexity. I was hoping to get more info about this system. Just one question I would like to ask is can this possibly supplement a full-time income? I’m currently in the 9-5 mold at the moment and desperately want to get out lol. Any system which can supposedly generate passive income will catch my eye. The answer to your question is complex and I will do my best to give it the depth of a response it deserves. The first basic answer is yes, a person can make a full time income from trading and with RYZE.Ai. However, this answer comes with many caveats. I will lay out a number of different scenarios and answer each with my opinion on the feasibility and probability of success. I have seen a great many of these Scam pitches online. The basic ones appeal to a persons feeling of exclusion from the world of rich people and their greed. These online pitches often feature young guys on yachts or seaside mansions surrounded by a bunch of bikini models. They exclain how they make millions from this magic trading tool that they through sheer altruism are willing to share with you for a modest price. Usually there story goes that they were unemployed and broke and by a stroke of luck some super rich trader took him under their wing and let him in on the secrets of the big boys and presto a life of riches followed. Now he is willing to share it with pthers like his former self so they too can retire rich working only 10 minutes a day on their laptop. Needless to say, this is total horse manure. If they are getting rich it is from all the poor guys sending then $299 or whatever for a tool that will lose them money trading Forex faster than you can blink your eyes. Other are in the same vein but with a more sophisticated sales pitch. However, when you see get rich easily with no money and no effort involved, just buy something from them (training, software) run. Just run. I have even seen a ton of Instagram posts of people showing Forex profits from an app. You can be a trader for $50. Again, run away. Get rich with no money to start and no hard work, run, run away. These are either signal services that tell you trades to make or where they execute trades in your account directly. There are also a lot of sales pitches that promise incredible returns. I have seen companies that have accounts where they show 30-50% returns a month and trading signals that make 25% on a single trade. These aren’t true scams like above because they are real services, but you will probably still lose big.. The problem is that huge returns can’t be maintained over the long run. To generate these types of returns the leverage is enormous. This does generate huge profits while you/they are on a winning streak but winning streaks come to an end and the losses are crushing. I have seen a person lose $6,000 of a $10,000 in a single trading day using these systems. Other people get wiped out entirely. Why? Its not that they are frauds or total incompetents, it is that people who trade with them are crazily over leveraged. Leverage has crushed many an aspiring trader. There are a great many books and educational materials available for trading in the currency markets. I have known many people who have gone down this path. The vast majority of them are unsuccessful. It can be done, there are people who have done so. However, it takes a tremendous amount of dedication, time and practice to become proficient. In my opinion, a self trader is probably better trading equities than currencies. However, given a long time frame and an enormous amount of work and substantial capital you could succeed at this. if you read my posts you have seen that when I trade independently I make money some days and I lose money other days. This can be very stressful especially if you are living off your trading profits, which thankfully I do not have to do. I have written a number of educational blogs and also incorporate lessons into my Xin’s Trading Adventures posts as well. 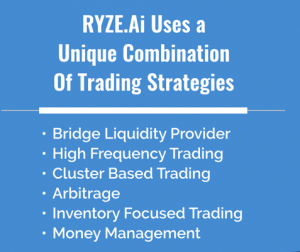 RYZE.Ai provides an excellent way to profit from the currency markets. RYZE.Ai does not overuse leverage and strive for unsustainable returns. It also utilizes methodologies that are not available to individual traders like high frequency trading and acting as a bridge liquidity provider. The returns it has generated average around .75% a week. Others who have been trading longer tell me that they average about 1% a week and my account should approach that after more time. Even at .75% a week I am happy. Over time this will compound into a very large amount, as you are doubling your money every two years. I am very happy with that rate of return. You can open a RYZE.Ai account with as little as $500 but I would recommend not doing it at the minimum, probably my minimum would be $1,500 at the bare minimum. But that’s just me. Is the RYZE.Ai program I use the only system that makes money? No, of course not. There are many commodity funds and even mutual funds that generate returns from currencies. These are alternatives that a person can explore and can make you money. 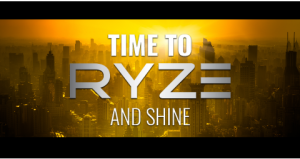 There are also funds that trade like RYZE.Ai and some are very successful. The drawback is these private funds often require accredited investors and large account minimums, which is out of reach of many people. However, there are other options and reputable firms out there as well. They don’t promise overnight riches, but they can make you money. One option, not something required, is the ability to refer other people to the RYZE.Ai system. Refer a few people and you can offset the subscription fees and increase your returns as well. If you make money, other people want to know how and a simple referal can make you money. Refer more than a few and you can actually generate another source of passive income which can be used to fund deposits into your trading account building your trading capital even more quickly. Refer more and soon you could have a team that is generating a very nice passive income and more capital to put into your account as well. It is a great way to generate extra investment funds and provide eventually a full time passive income. It just takes commitment and effort. This also qualifies many people to deduct expenses as a business saving you on taxes as well, allowing even more capital to be freed up for investment. Again, this part is completely optional at your discretion. You can choose not to refer people as well, it is simply one alternative. I have tried to answer your questions sincerely. i have no desire to mislead people with wild promises or to discourage anyone who wants to trade on their own. I just want to make you aware of pitfalls I have seen and to warn you away from scams. If you have interest in RYZE.Ai, I would be happy to talk with you. I would also encourage you to watch some of the videos at http://zhangxin.ryzeai.com . Many people have questions and I try to answer all the emails I receive. Please feel free to email me with your questions or leave them in the comments section. You can also check out the Thursday Evening Webinars for more information. This turned out to be a long email and I hope you find it useful. Please let me know any further questions you may have.